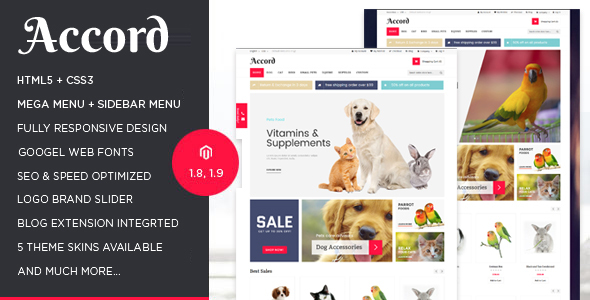 Pets Magento Theme / Pets Magento Template: Accord is a responsive Magento template designed for stores, shops & businesses dealing in pet food, pet supplies, toys, collars & leashes, filters, bedding accessories, grooming kits, apparel and litter & housebreaking products etc. 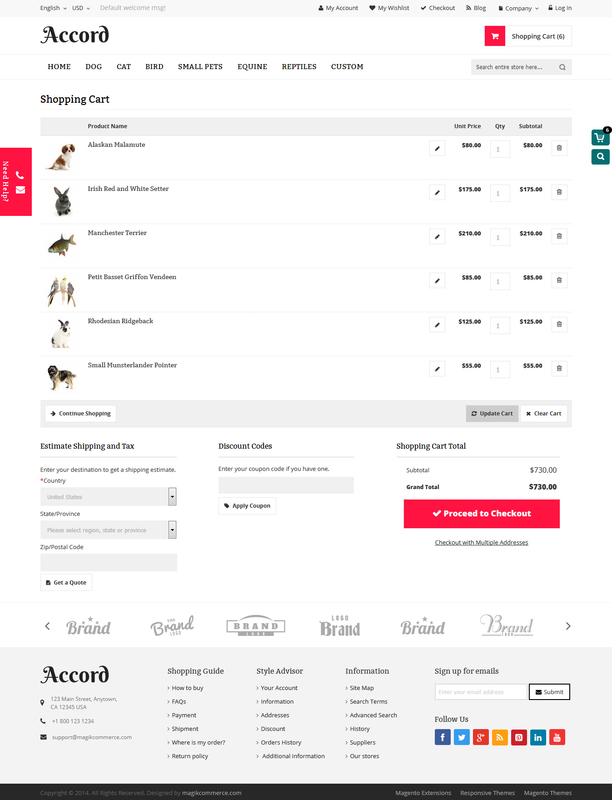 It is packed with the best-in-class features as well as a suite of powerful extension that is offered free. 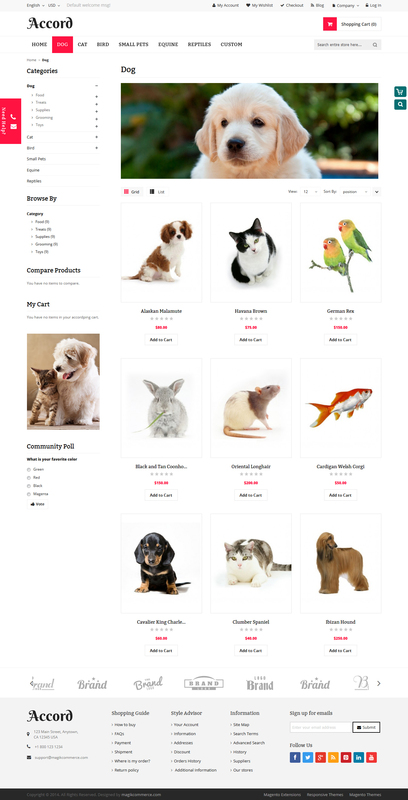 This is speed and SEO-optimized Pets Magento template. + Compatible with 1.7 version. 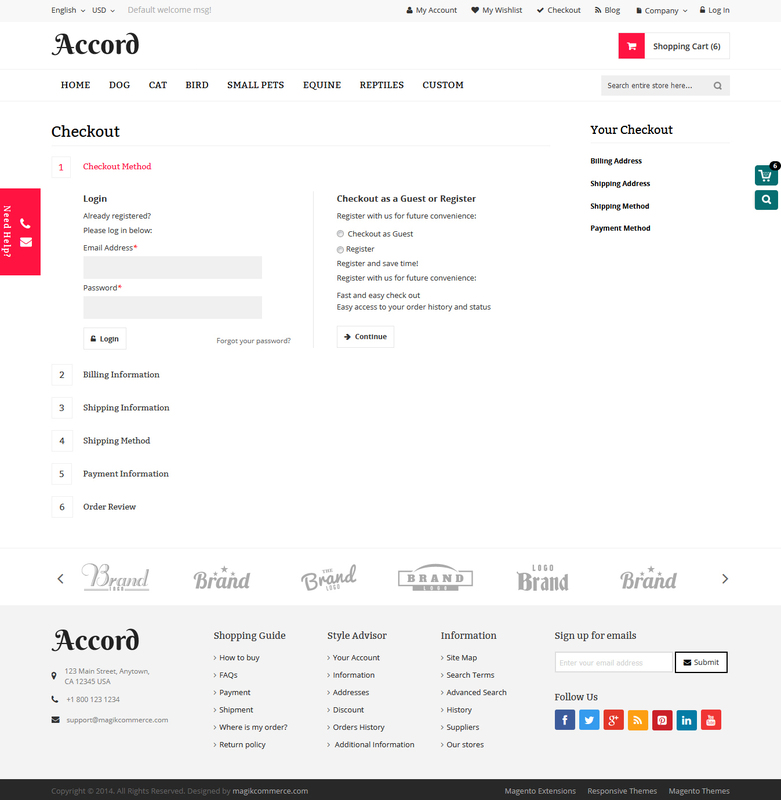 + Updated social bar extension.